Your "To Do" List Just Got Longer for 2016! We Did it! And then some. 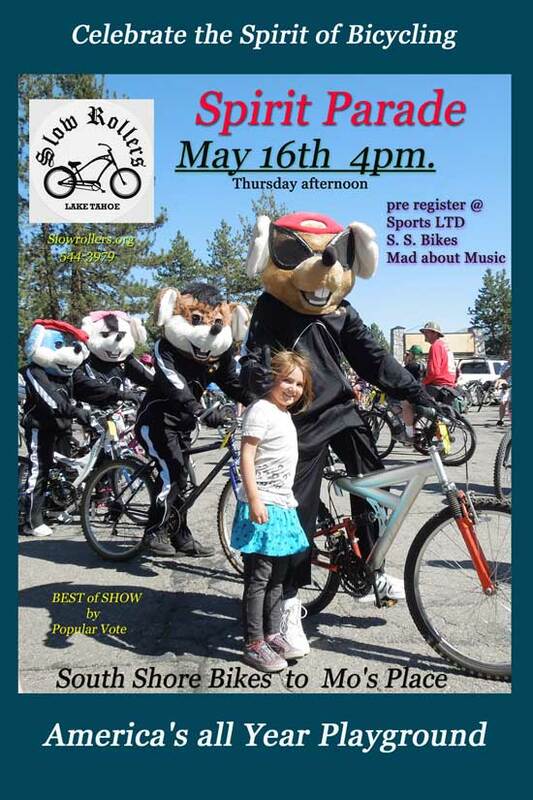 The world record for the longest single line of bicycles is now owned by the Slow Rollers, South Lake Tahoe, and all the participants with their awesomeness that made it happen. Sorry IOOF of Davis, but 916? Really? Try 1,188. We're Going for the World Record (and it won't cost you a dime)! 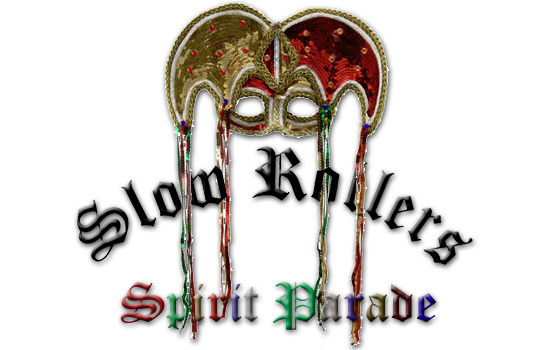 The Slow Rollers Bicycle Club proudly presents the second annual Spirit Parade. Everyone is invited to participate in this free cruising event from Miller's Outpost at the "Y" in South Lake Tahoe, CA, to MontBleu Resort Casino and Spa at Stateline, NV. Don't worry... two states, but only five (flat) miles. 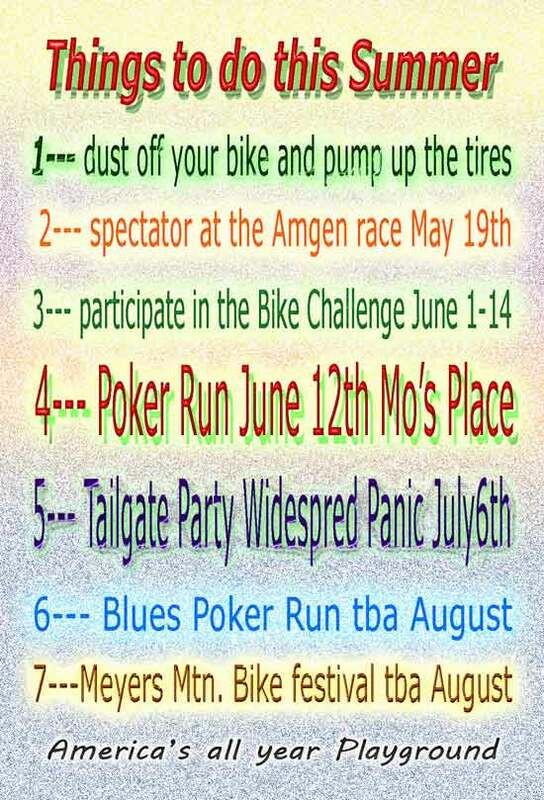 When we say "everyone" we mean EVERYONE cuz we're going for the LARGEST BICYCLE PARADE WORLD RECORD currently held by the city of Davis, CA, and the International Order of Odd Fellows (IOOF). Oh, it's on. You'll get a number. You'll be counted. And we all just want to count, right? 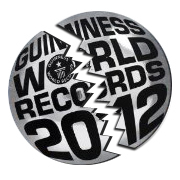 Guinness, the World Record people not the beer, will certify our numbers and we'll make history... in a good way. 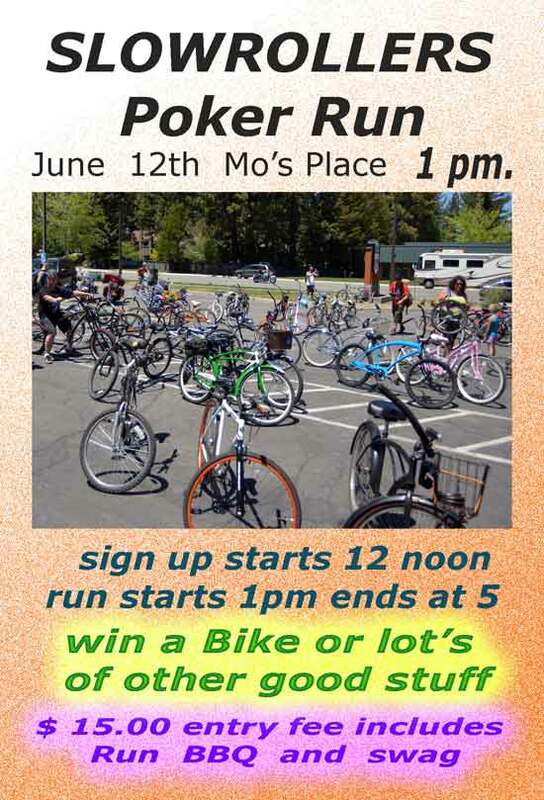 Pre-register at Tahoe Sports Ltd. Post-check-out-wow-I-biked-(slow)-all-day-now-let's-party after party at Mo's. Other world records may be set at this time. Best in Show gets a custom engraved hard-to-find limited edition powder coated... wait for it... wait for it........... cow bell. It only makes sense: if you roll right, slow that is, you're on the edge of tippin' over like Bessie. And when you tip over like Bessie cuz your ridin' so slooow, we'll hear the bell and come pick you up. Besides, the Life Alert bracelets cost too much. Ride solo or get a group together. You'll be joined by these groups: the Boy's and Girl's Club XC ski team, Blue Angel Cafe, Sprouts, Lyons Club, Divided Sky, the Derby Dames of Lake Tahoe, Mad About Music, Carson City's Pedestrian Killers, Reno's Gonads 'N Strife, Minden's Rusted Chain Gang, firetrucks up front and the South Lake Tahoe Police chasing you from behind (c'mon, like you're not used to it). It's gonna be big. Like Mardis Gras big. Get your freak on, but please, it is a parade for everyone, so keep your clothes on. In fact, costumes are almost mandatory. If you show up as you... everyone will know. 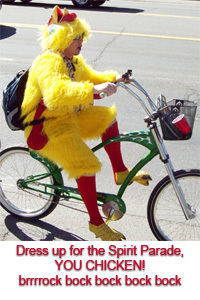 It's not that we don't want YOU there, but your dressed-up alter ego is probably a lot more fun, you chicken. BBQ is included for all participants. Events and prizes galore! 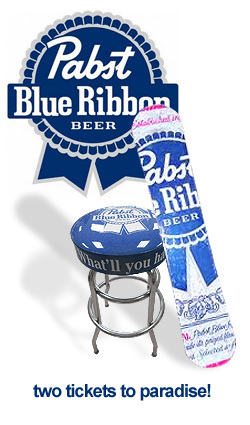 Nothing like sitting your rear end on a chromed-out Pabst Blue Ribbon Beer barstool you won for a measley raffle ticket, or an all-your-friends-wish-they-had-one-where'd-you-get-that Pabst Blue Ribbon Beer, um, SNOWBOARD! This year we added a Sun beach cruiser to the raffle prizes. C'mon... bikes, boards and barstools for a raffle ticket??? Buy 'em by the hundreds with these prizes! 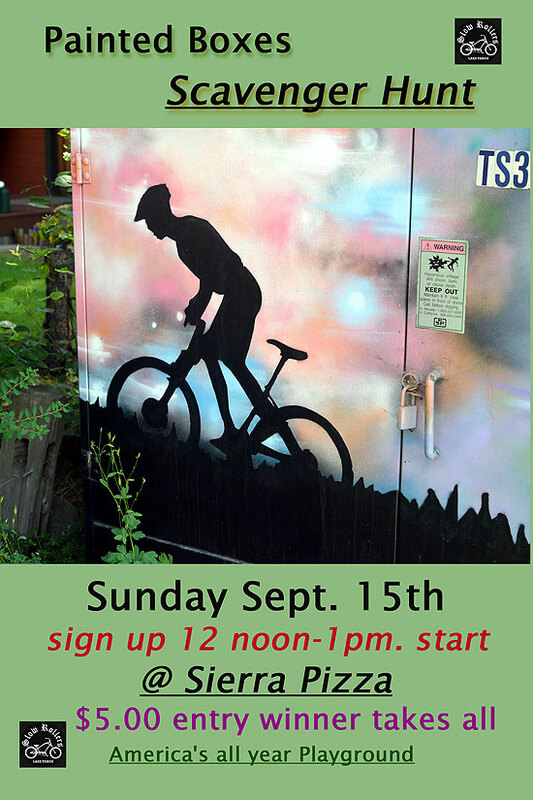 Do it for the children: your raffle tickets support the Slow Rollers Bikes for Children program. We'll also give away another Sun beach cruiser for the best hand in the annual Slow Rollers Poker Run and probably something more than recognition for the Show & Shine winner. The longest skid contest winner will get nothing. And please, these are pavement skid marks made by your bike tire. Don't show up with your... nevermind. So, to get a Slow Rollers World Series of Poker bracelet (SRWSOP), you'll have to skid in on the shiniest bike with the best poker cards in one hand and a fistful of raffle tickets in the other hand. Just another day on a cruiser in paradise, aka, Lake Tahoe. This is a two day event on the beach with standup paddle boarding, swimming, sun, Q'n, LIVE MUSIC from a legit surf band, some slow rollin' and whatever else happens when we're having fun in the sun. 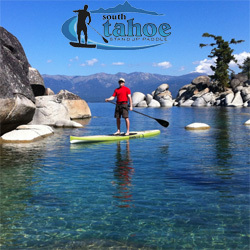 Race really isn't in our vocabulary, so we've left it to our SUP friends at Tahoe Standup Paddle. 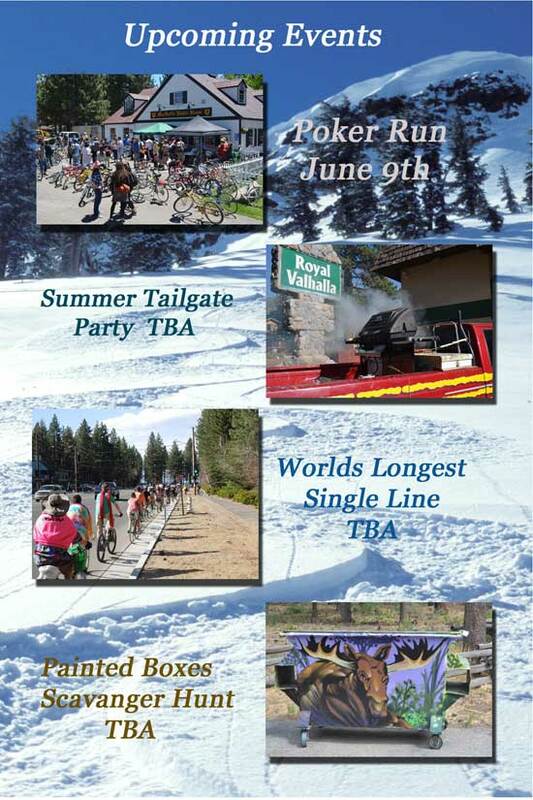 They're going to do this "race" thing on Sunday from El Dorado Beach to Emerald Bay and back. Good for them. We'll be taking a social ride during that time, and I can assure you there will be no awards for going fast. But when they get back, we're all going for an after party party at MacDuff's Pub. See, you can't have glass at the party (El Dorado Beach), but you can have glass at the after party party (MacDuff's), and we don't discriminate against bottle-lovers at our equal opportunity events. 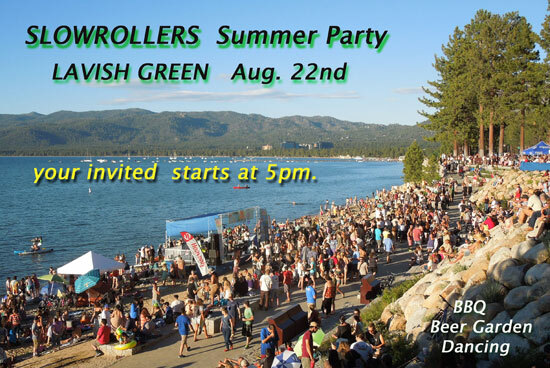 So everyone, join us for summer fun Slow Rollers/Paddlers style on the beautiful beach of Lake Tahoe. We're cookin' and keggin' somewhere in the Horizon parking lot. Oh, you'll find us. Sometime around 3pm til curtain, and then some. BBQ, salad and whatever comes in a keg. Plenty of great food for all, or bring your own something to throw on the grill or toss in a bowl and share the love. If we don't have enough fun in the parking lot, we may even "Listen to the Music."